A playmat featuring the cover card, Firewall eXceed Dragon. Gains 200 ATK for each Link Monster in the GYs. You can only use each of the following effects of "Amphibious Swarmship Amblowhale" once per turn. ● If this card is destroyed: You can target 1 Link-3 or lower monster in either GY; Special Summon it. ● If a Link-3 or lower monster(s) on the field is destroyed by battle or card effect while this card is in your GY: You can banish this card from your GY; destroy 1 card on the field. 5 packs and an Ultra Rare version of the Link 4 Monster Amphibious Swarmship Amblowhale. 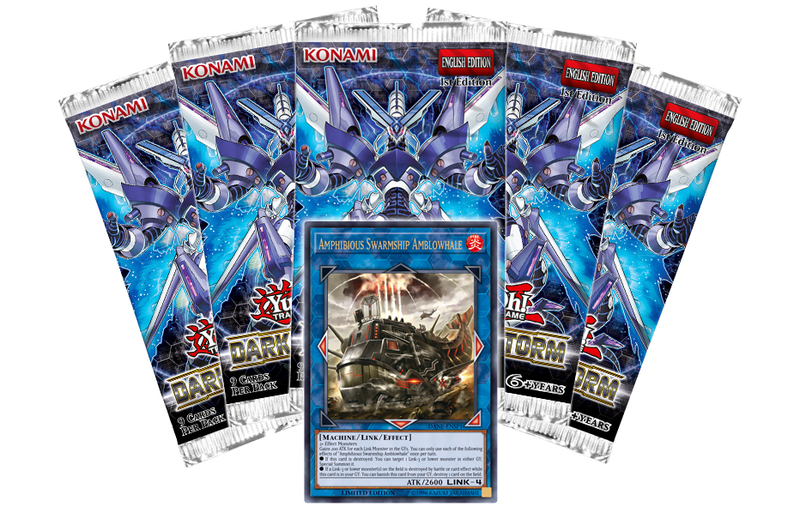 Stay tuned for more info on the TCG release of Dark Neostorm!